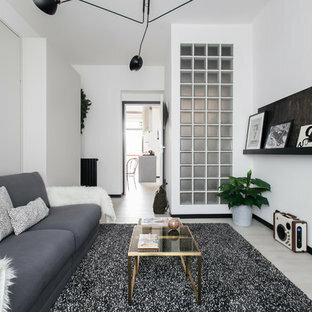 Photo of a scandinavian living room in Melbourne with white walls, light hardwood floors and beige floor. 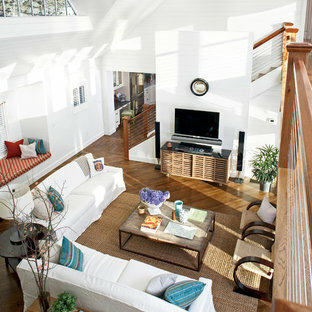 Design ideas for a large beach style open concept living room in Boston with white walls, medium hardwood floors and a wall-mounted tv. 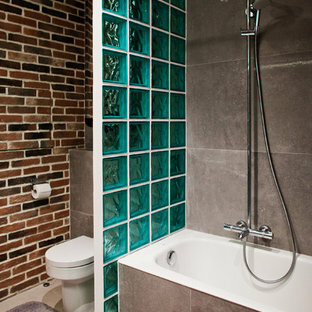 Contemporary 3/4 bathroom in Moscow with a wall-mount toilet, gray tile and grey walls. Inspiration for a mid-sized contemporary bedroom in Berlin with brown walls, dark hardwood floors and no fireplace. Квартира 66м2 в жилом комплексе "Авеню 77"
This is an example of an industrial master bathroom in Moscow with an alcove tub, a shower/bathtub combo, a two-piece toilet, gray tile and brown walls. 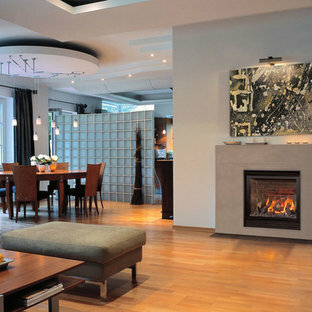 Inspiration for a contemporary open concept living room in Other with medium hardwood floors and a standard fireplace. Photo of a large modern open concept living room in San Francisco with concrete floors, brown walls, no fireplace and a wall-mounted tv. Design ideas for a mid-sized industrial open concept living room in Munich with white walls. 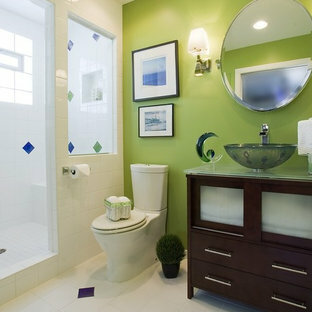 Modern bathroom in San Francisco with mosaic tile. Inspiration for a mid-sized modern living room in Mexico City with orange walls. 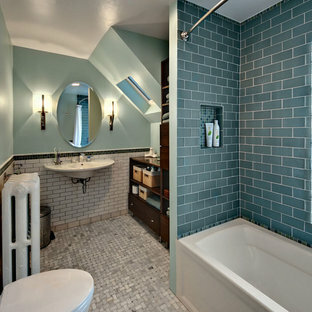 By Studio S Squared Architecture, Inc.
Inspiration for an arts and crafts bathroom in San Francisco with mosaic tile. 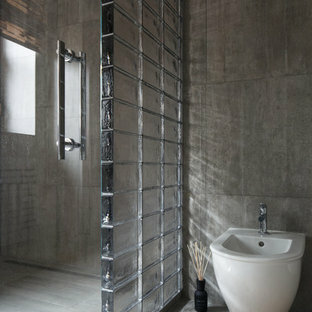 This is an example of a contemporary bathroom in Sacramento with an open shower. Selections & Design by Shefali Mehta & Kim Stiffle. Portraits of Home by Rachael Ormond. This is an example of a transitional bathroom in Chicago with an undermount sink, flat-panel cabinets, dark wood cabinets and marble benchtops. Kitchens and Baths for Interior Intuitions, Inc.
Teri Fotheringham Interior Intuitions, Ltd. Contemporary bathroom in Denver with an alcove shower.